In 1989, at the age of 24, Wen-Sinn Yang became principal cellist of the Bavarian Radio Symphony Orchestra where he stayed until 2005 when offered a chair at the Munich College of Music. In 1991 he won first prize in the Geneva International Music Competition. Since then he has performed in many concerts all over the world, making use of the opportunity to promote 20th century music. Wen-Sinn Yang has worked with many conductors including Lorin Maazel, Sir Colin Davis, Wolfgang Sawallisch, Semyon Bychkov, Yuri Termirkanov and Mariss Jansons. Invitations from orchestras, including the Concertgebouw Amsterdam, Orchestre de la Suisse Romande, Copenhagen Philharmonic, Edmonton Symphony, Super World Orchestra Japan and Taiwan National Symphony Orchestra have taken him to Europe, Canada and the Far East. 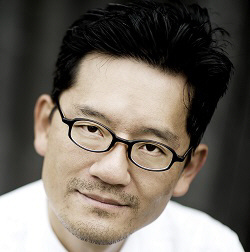 Wen-Sinn Yang is a regular guest at renowned festivals, including St. Moritz, Davos, Dresden and Ludwigsburg. Alongside the great works from the Baroque, Classical and Romantic periods, he also performs previously unknown cello pieces from the 20th century. In 1997, together with the BR Symphony Orchestra during the Munich “Musica Viva“ series, he gave the first performance of Kevin Volans’ Cello Concerto. Two years later he was the soloist in the German premiere of Lorin Maazel’s Music for Cello and Orchestra. It gives him great pleasure to introduce his audience to modern cello music such as Boulez‘ Messagesquisses or Henri Dutilleux’s concerto Toute un Monde lointain. Wen-Sinn Yang has made over 20 CD recordings. One of his more ambitious projects is a DVD of Bach’s Cello Suites which was recorded in conjunction with Bavarian television in a small pilgrimage church in the Chiemgau. He has also made recordings of the Cello Concertos of Haydn, Dvorák und Boccherini. 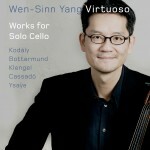 In the area of new music, Wen-Sinn Yang acts as an advocate for less well-known but highly virtuoso music, including Carl Davidoff’s Cello Concertos and Alfredo Piatti’s Caprices for violoncello solo. In 2005 the versatile cellist recorded the entire chamber music works of Aribert Reimann. His chamber music partners include Rudens Turku, Ana Chumachenko, Thomas Brandis, Karl-Heinz Steffens and Eduard Brunner. He has performed with Hélène Grimaud and Homero Francesch. Alongside his teaching work at Munich College of Music, Wen-Sinn Yang regularly gives courses in Germany, Switzerland and at the Accademia “Lorenzo Perosi“ in Italy. Wen-Sinn is Swiss, the son of Taiwanese parents, and received his musical training in Zurich under Claude Starck and in Berlin under Wolfgang Boettcher.